Thank you for volunteering your time to come to our school and do interviews. We really appreciate your interest in coming to help us. The practice expanded our knowledge and experience for future interviews. The experience and knowledge we learned during the interview to remain calm and maintaining eye contact. It really meant a lot to us for you to take time out of your day to come and help us to better ourselves in the future. I was referred to Progressive Auto years ago. After one visit I was sold on their honesty. Prior coming to them, I had been to other mechanics and was quoted so many things that needed to be done with my vehicle. On first visit, Mr. Eddie and his crew checked out my car and informed me on what needs fixing and what did not. I valued that so much. Ever since then, I make it my business to travel near or far to get to Progressive Auto out in Powhatan when I have mechanical issues going on with my vehicles. They are so trustworthy and I will remain loyal. Just nice folks. Appreciate that type of service. I ONLY trust Eddie & his staff of mechanics to service my car! Been doing so for 15 years! I have been dealing with them for several years. I would not trust anyone else! Our family were in the process of buying a used car this week. I called Progressive Auto to ask a few questions about the model I was looking at. They offered to take a look at the vehicle before I bought it to ease my mind. What a relief and breath of fresh air! You can trust the team at Progressive Auto. FANTASTIC, HONEST, EFFICIENT, FRIENDLY, KNOWLEDGEABLE, FAST, REASONABLE. I have found the perfect auto repair shop. Wonderful people and replaced bulb and adjusted headlights on my first vist at no charge. Super nice people highly recommended! I will stay with them for sure. So thankful to find them. They never have hidden items or try to talk me into services I really don't need. 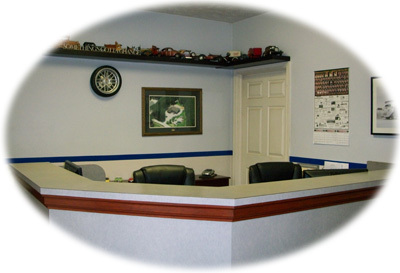 They are not your typical auto repair where you always feel like you have been taken advantage of. Highly recommend them. Came across Progressive while in Powhatan. My car was overheating, and they fixed me right up. Super service and knowlege. Want to leave a comment? If so, fill out the form below!